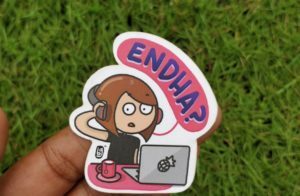 Quirky, funky and unique designs based on a webcomic series in Malayalam. 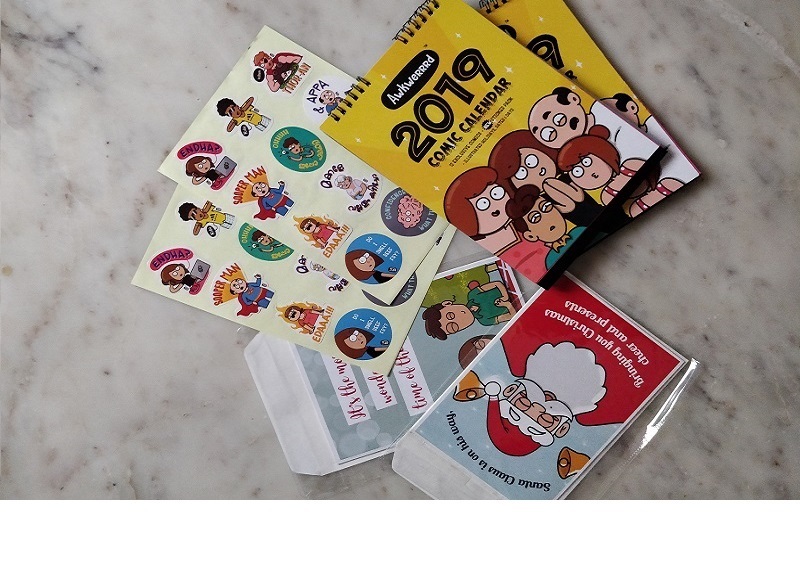 Bhaghya Babu’s collection ranges from calendars to magnets and has surely made its way into the hearts of Malayalees. 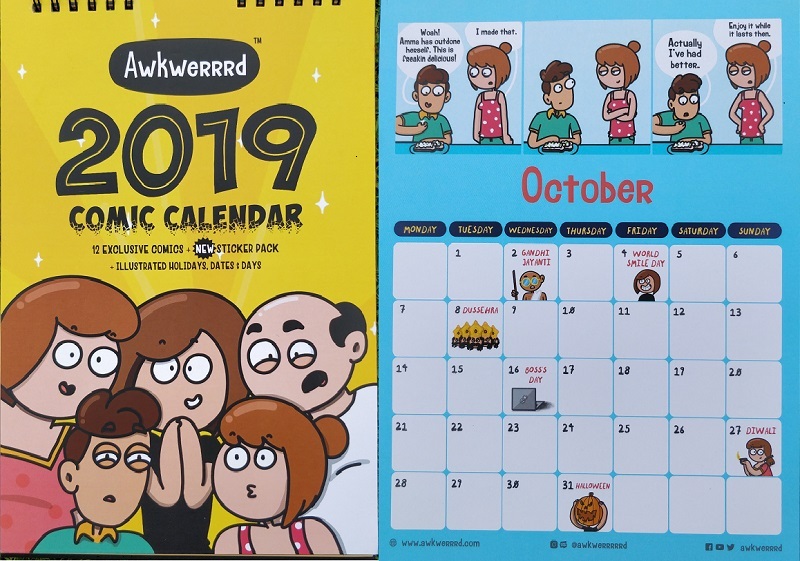 Awkwerrrd is a popular webcomic series based on a Malayalee family residing in Kochi. 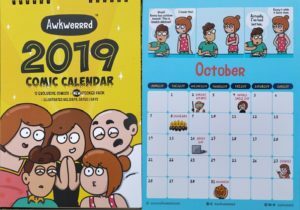 Based on the comics we provide gifting solutions and collectibles that are quirky, funny and unique. The webcomic belongs to slice of life genre touching on everyday topics and scenarios bringing out the humor in life’s little moments. As my work is heavily reliant on social media, there’s always that fear of becoming irrelevant but overtime I’ve managed to overcome that fear by telling myself that the numbers don’t matter and staying true to my art is what will go a long way. When I started, there was a lack of representation of Malayalees in the webcomic world despite us clearly being a funny lot. 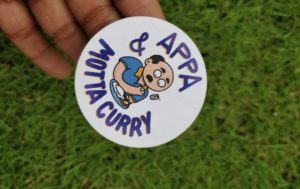 So once the comic gained momentum among malayalees, there was a high demand for merchandise that spoke to them in their regional language and is relatable to them. My name is Bhaghya Babu. I’m currently an independent illustrator & comic artist. I graduated from Srishti College of art, design and technology in 2015, after which I worked in a UX/UI startup called Parallellabs in Bangalore for over a year. Other design firms I’ve interned in are Illustration Much, Bangalore & IdeaSpice Design, Bombay. We’re based out of Cochin at the moment. But have plans of shifting base to Bangalore this year. 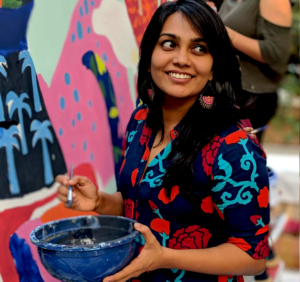 Bangalore has an existing strong art community and art events that provide multiple platform for artists to showcase and promote their work. Similarly Kochi has huge potential and is getting there. You could say any ecommerce store that sells art + merchandise is perceived as competition right now. Since my artwork is specific to certain characters and storyline and has a unique style of its own which is trademarked, sets my work apart. In no way is it “better” or worse than others. When you are your own boss, it is a constant struggle between working 24/7 and wanting to take a 24 hour nap. To be completely honest, I am in no way managing it well but more like scraping by. Have you raised funding? If yes, then we would like to know the details. If no then please tell us if you’re looking to raise? No, not looking to raise either. One misconception people have about creatives are that they are the lucky souls who got to follow their passion and be creative for a living. The truth is – illustrating and creating content is a very small part of my job. I have to do my own marketing, sales, promotions, accounting, client servicing etc. The fact that something that was once so personal to me is now being shared and appreciated by thousands of people. I started making comics in my second year of college, but within the past year it has grown tremendously and it all happened thanks to the amazing support of the people who consume my comics. Every day I put in my 100% to create good content and I’m looking forward to expand the product line and release a comic book as well. My day starts at 6:30am, followed by kickboxing class for an hour. My workday starts at 10am where the first half of the day is for reading and responding to client emails and customer enquiries and work calls. The second half of the day I’ve kept aside for creating content- whether it is for clients or for my own page. Also, a part of the day is kept aside for printing labels, packaging and shipping orders placed from the store. Most days I try to wrap up by 7pm but usually extends till 8-9pm. Currently I’m a one woman army with extremely supportive friends and family. Know a great startup story or want to share your own? Write to us at keralainsider.com@gmail.com and we will get back to you. For more updates follow Kerala Insider on Facebook. Myself Necin Lazar completed my MBA from Manchester University and worked with various MNC s over the years. 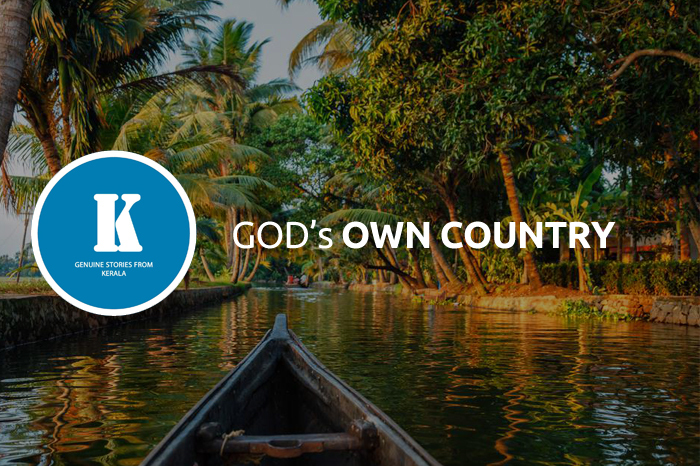 Having a keen interest in entrepreneurship and startups I later worked with few startups which lead to co-found Keralainsider.com. Through my articles I would want to get inspired and inspire other readers about individuals and startups who have taken the big step. Don’t worry. We do not spam. We send only one email every week with all the latest stories. A lot of people have extended their support in our endeavor.